Inconsolable at first, Elizabeth eventually found solace and support through Threads of Life. We help families of workplace tragedy along their journey of healing by providing unique family support programs and services, such as one-on-one peer support, regional Family Forums, a Speakers Bureau, and Steps for Life community walks that take place across the country. 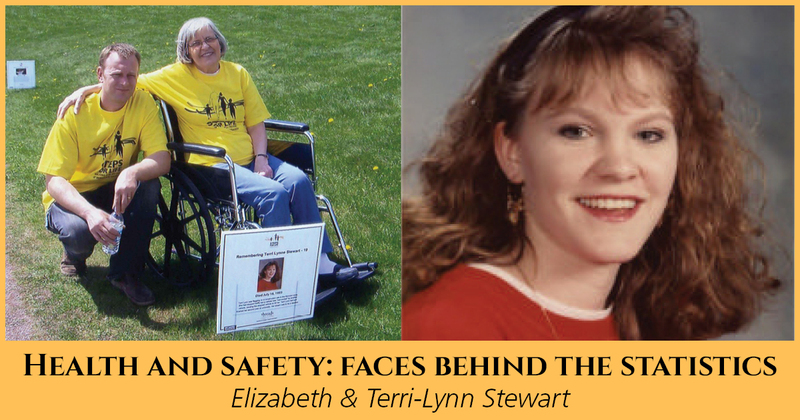 Read about Elizabeth and Terri-Lynn in Forget Me Not, a Threads of Life book of family stories available at www.threadsoflife.ca/forget-me-not.